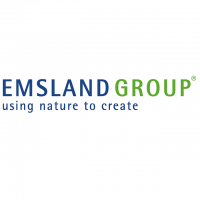 ‘Using nature to create’ – this guiding principle characterizes the company philosophy behind the Emsland Group. Harvested raw materials are processed into innovative trendsetting quality products in tune with nature. As Germany‘s largest producer of potato starch and a global leader in manufacturing refined starch products, potato flakes and granules, as well as proteins and fibers, Emsland Group creates future oriented products for the whole food industry. We offer solutions for trends such as clean label, gluten-free, fiber enriched, sustainability, acrylamide reduction, vegan as well as non-GMO and natural. Emsland Group has a long term relationship for about 15 years with OK Kosher starting for single plant certification and result in uniform certification for the whole company group in 2016.